For turfgrass professionals, aerification (or aeration as it’s sometimes called) is crucial to maintaining healthy turf and high quality playing conditions. To many golfers, this important cultural practice is a nuisance that disrupts play. 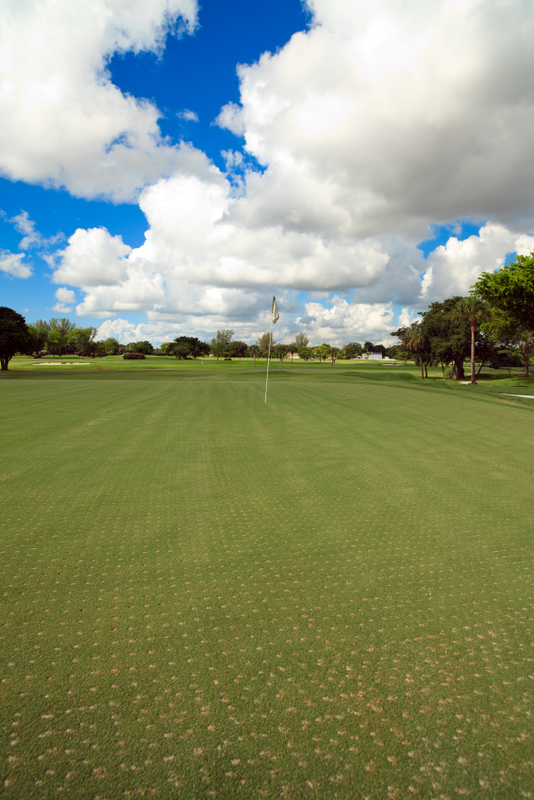 During aerification, machines cut into greens or fairways and remove cores in a set pattern. Removing these cores cuts down on thatch, reduces compaction, and allows more oxygen to reach the rootzone. Creating the right balance of air, water, and soil in the rootzone is one of the keys to producing healthy and consistent turf. For all the long-term good that comes from aerification, the practice takes an immediate and heavy toll on turf appearance and playability. Most golf courses close for a day or two following aerification and optimum playing conditions may not be restored for weeks. This disruption of play can cause headaches for turfgrass professionals and golfers alike. Using certain soil surfactants can help bridge the divide between nuisance and necessity by drastically reducing recovery times. Golf course superintendents on a regular surfactant program (like those using Revolution) should time their aerification program to coincide with their next regularly scheduled surfactant application. Courses that are not on a regular surfactant program can help speed up recovery times by applying Aqueduct after aerification is complete. Using these soil surfactants will help overcome the water repellency issues that often creep up following aerification and will ultimately lead to faster healing, healthier turf, and happier golfers. Has your course recently completed aerification? Show us your pictures on Twitter!